ANBARASI SOCIAL ACTION THE SOCIETY OF MOST HOLY MARY ANBARASIMAADA is located in Dindigul Tamil Nadu . ANBARASI SOCIAL ACTION THE SOCIETY OF MOST HOLY MARY ANBARASIMAADA is registered as a Society at Dindigul of state Tamil Nadu with Ngo unique registration ID 'TN/2010/0027149' . 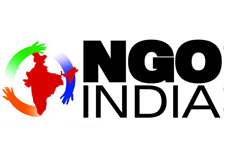 The NGO registration is done by Registrar of Societies with registration number 91/1994 on the date of 03-03-1994, Its parent ORganaisation is PaulFoundation. The Chairman of ANBARASI SOCIAL ACTION THE SOCIETY OF MOST HOLY MARY ANBARASIMAADA is Josephine and Chief functionary officer is L P Gothandapani. Promoters are Nagendran, Arockiaraj, Radhakrishnan,Kumaresan.